2). 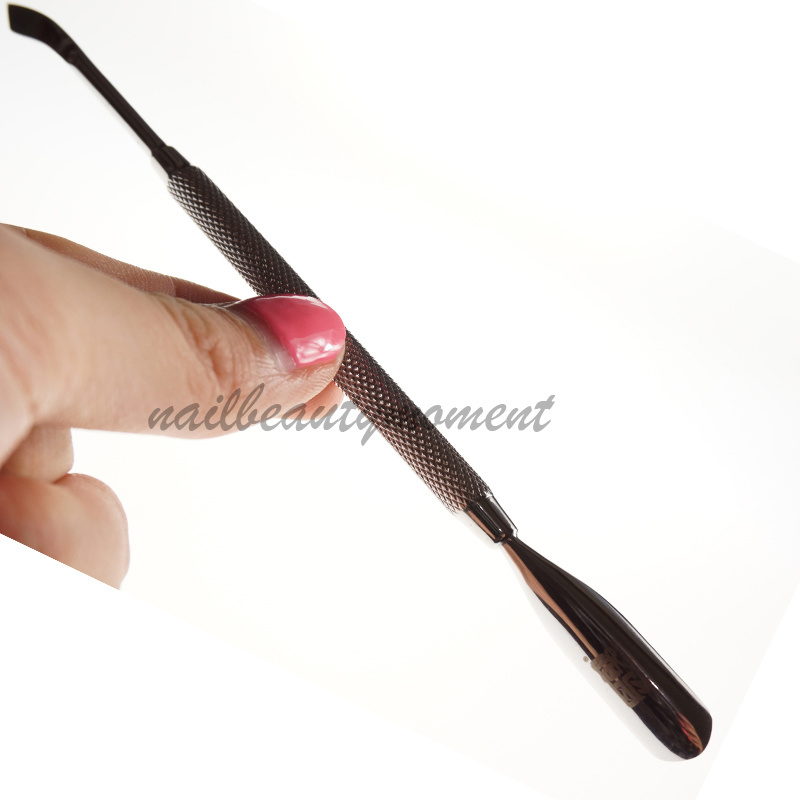 Dual-end pusher for pushing and cutting nail cuticle. 3). The spoon-like end (curved-end) is used for pushing cuticles - the design easily helps to shape the cuticles. 4). The blade scrapes the hard-to-remove leftover skin residue on the nail and great for removing glue when using acrylic nails.